Invest in a berth. Freehold marina berths for sale. 90% Sold. Don’t Miss Out! Invest in a freehold marina berth. Secure the best spot on the Bay for your boat. 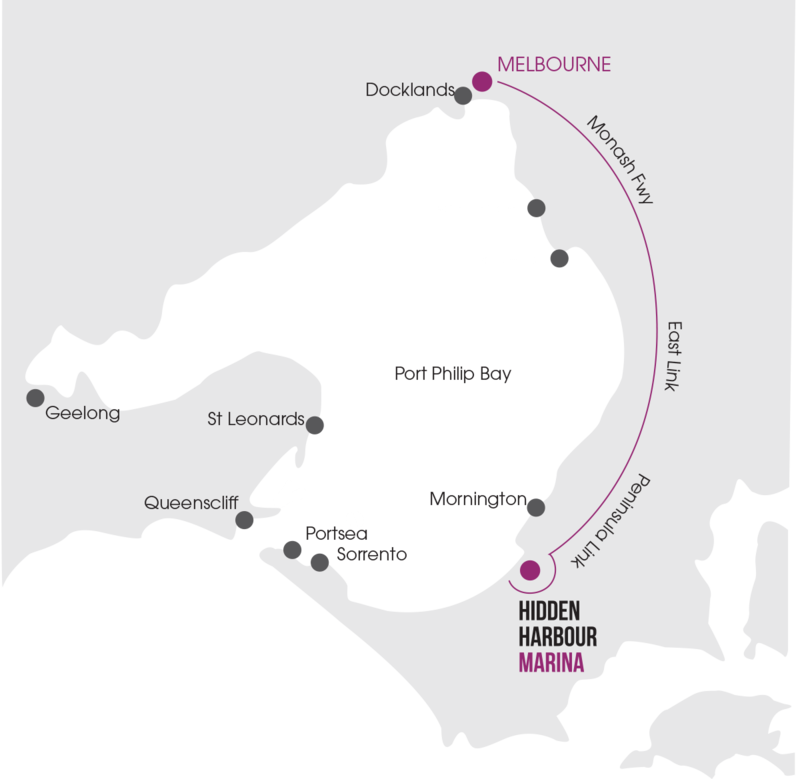 Hidden Harbour Marina sets itself apart from busy Melbourne city and is located on the Mornington Peninsula, providing you with the space, tranquility and access to enjoy your boating at the Southern end of Port Phillip Bay. 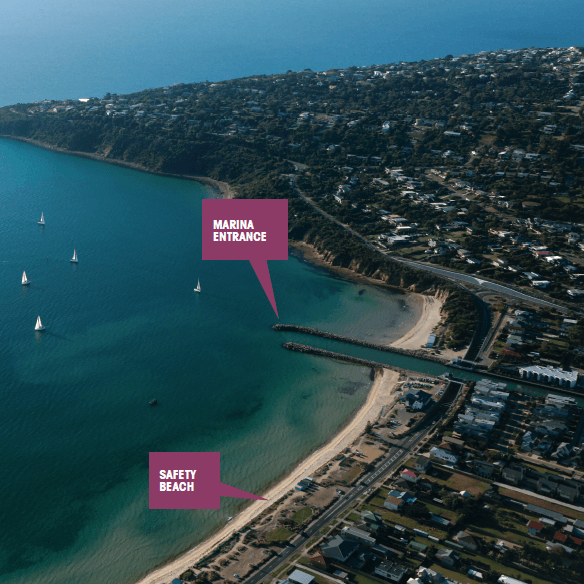 Less than an hour from Melbourne CBD and South Eastern suburbs via Peninsula Link, our marina, located within Martha Cove, is a hidden gem for storing your boat on the Mornington Peninsula. See prices & availability below. Martha Cove is a beautiful secure harbour and boating community and with much of the real estate sold, it’s a lucrative place to invest. Located on the southern end of Port Phillip Bay, Mornington Peninsula offers some of Melbourne’s best fishing spots, marine wildlife, wine and gourmet food trails as well as delightful towns and regions to explore. It costs a similar amount to buy as to the overall costs of a long-term lease, but at the end you have an asset you can sell. With only a limited amount of boat berths for sale, don’t miss out on this opportunity to secure an asset with great capital growth potential. Investing in your future means you may be spending your money on something that may not give you immediate value or use, but it will be incredibly rewarding later on. Investing in a marina berth while you still can, allows you to use it for your own boat when you are ready. Want us to send you some more info? Enquire Now. We'll endevour to supply you with more information within one business day.